I have always been a curator. Ever since I was small, I loved keeping records of memories. I was a stellar diary-keeper and an impeccable pen-pal. I saved everything. I made books and collages and loved hanging pictures in my room. Eventually, I became a scrap-booker . . . keeping detailed books full of photos, ticket stubs, and other momentos. It’s no small wonder that I was drawn to blogging. I love that I have this space where my kids can read my thoughts and see snapshots of their childhood. I would give anything to read about my mom’s process when I was a kid. I hope that reading my account of our lives will be a gift to my kids, and that it can encourage them in their own family life. While I love that I have the blog, I do think it’s important to have physical copies of photos around my home. My kids are not on my blog, and I want to preserve memories for them that they can see and touch. I’ve worked hard to print photos, and also to assemble scrapbooks of milestones over the years. The kids pour over these books. 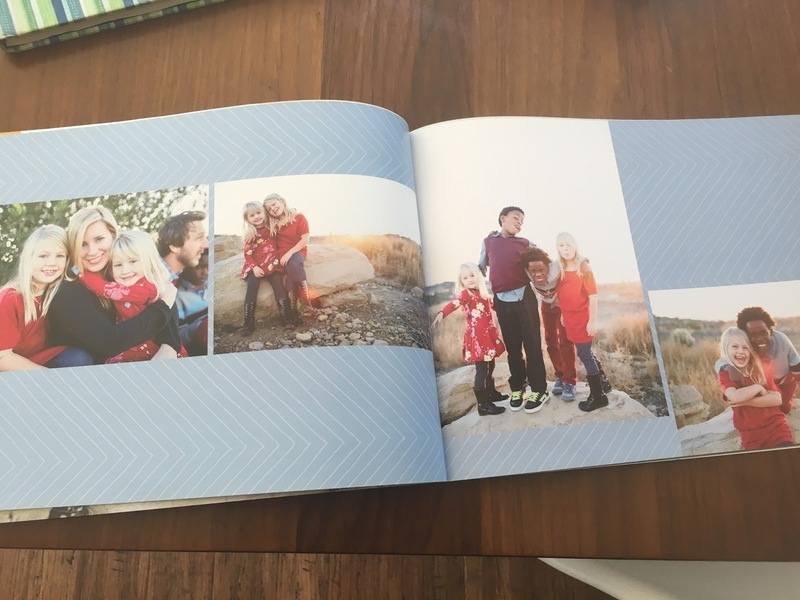 I also try to make annual family photo books when we get our photos professionally taken for our Christmas card. These are great for capturing the kids at each stage, and they make perfect Christmas gifts for grandparents. 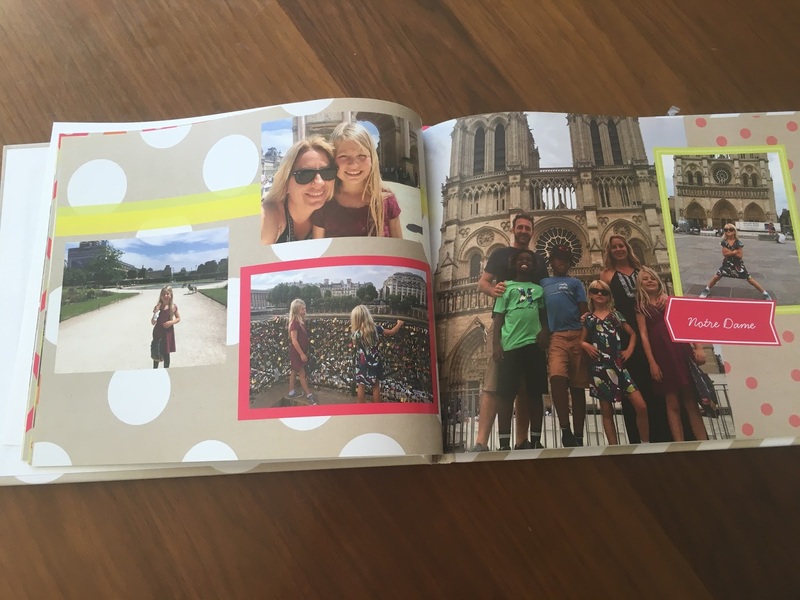 Shutterfly has a Make My Book service that lets you take the easy route with scrapbooking. You allow their expert designer to create a beautiful photo book for you in three business days. It’s free to get started, and you pay a design fee of only $9.99 if you order the finish book. It’s an economical way to have someone else do the heavy lifting for you. If you like a little more control, you can choose their Simple Path option. This takes the photos you’ve chosen and instantly arranges them into a book, but you can later rearrange photos and pages or add captions. This option has preset backgrounds and layouts, and allows you to customize as little or as much as you like. This is a Simple Path book I made from photos from our Europe trip last summer. I just uploaded the pictures, let them auto-arrange, and then added a few captions. So easy. If the idea of uploading all of your photos has you feeling overwhelmed, you can make a photo book from your Facebook or Instagram feed. This is an easy way to capture the highlight reel of your life, without sifting through hundreds and hundreds of photos. This is my new strategy for making your early photo books. I know that my Instagram photos are the best-of the photos I’ve taken, so simply uploading my Instagram photos makes for an easy and linear annual scrapbook. Another pro-tip for using Shutterfly: register for ShopAtHome first. ShopAtHome is an online destination giving shoppers an opportunity to earn Cash Back and additional rewards on the purchases they’re already making. ShopAtHome has developed a powerful shopping solution: the day’s top deals, Cash Back incentives, and ShopAtHome Rewards Points all bundled together to create an entirely new way to shop smarter and save online. In fact, all you have to do is sign up, shop and start earning your Cash Back, which works with many of your favorite online vendors, including Shutterfly. 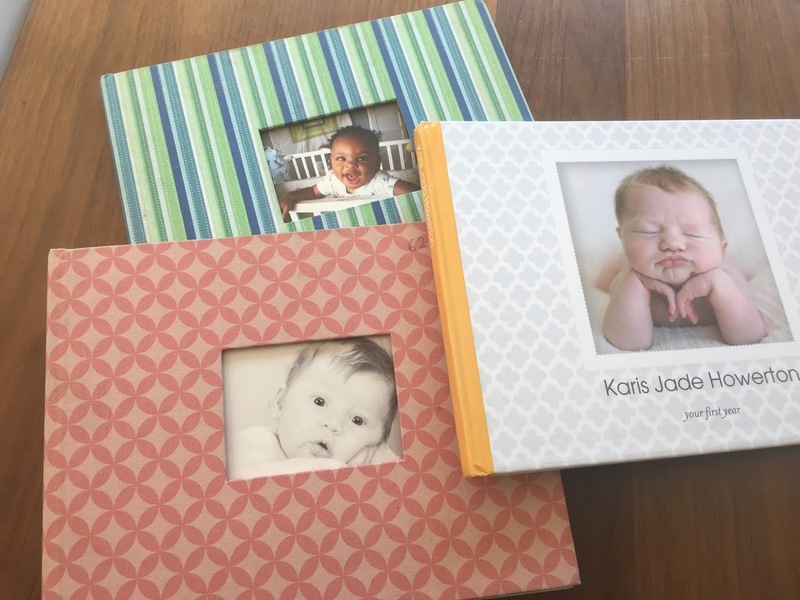 Have any tips for getting your digital photos printed and curated for the kids to see? Leave your ideas in the comments!